If you have been searching for a professional carpet and upholstery cleaning company that uses quality equipment and cleaning solutions, then you have come to the right place. At Dixie Canyon Carpet Cleaning we have provided comprehensive carpet and upholstery cleaning services to residential and commercial business owners since 2006. Dixie Canyon Carpet Cleaning is family owned and operated and we take pride in treating the carpets and upholstery in your home as though they were in our own homes. We are licensed and insured for your complete satisfaction, protection and peace of mind! Studies show that the carpets, rugs and upholstery in Greater Sherman Oaks, CA can carry as much as 37% of the pollutants found in an average sized home. These pollutants can health of the occupants within the home resulting in allergies and respiratory issues. 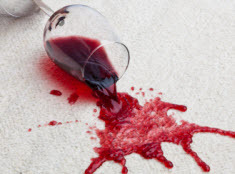 At Dixie Canyon Carpet Cleaning, our revolutionary deep extraction cleaning methods combined with commercial grade cleaning solutions are designed to flush out harmful toxins and bacteria that become trapped in the carpets and upholstery. 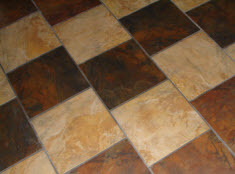 Carpets, Rugs, Upholstery, Mattress, Air Duct, Wood Floor Refinishing, Tile & Grout and Water Damage Restoration Services. If you are looking for the best quality carpet experience that you could possibly imagine, then you have come to the right place. We do more than other carpet cleaning companies because we take the time to make sure that your carpets are as clean and sanitized as they can possibly be. 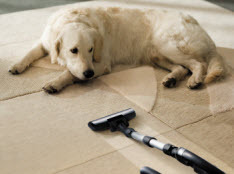 At Dixie Canyon Carpet Cleaning our carpet care technicians understand that nothing works better than hot water extraction to thoroughly clean carpets and upholstery. In fact hot water extraction is the preferred method of cleaning by most carpet manufactures and is the only recognized cleaning method designed to provide your carpets with a level of clean you can see and feel. At Dixie Canyon Carpet Cleaning, our technicians are highly trained and skilled and will focus on the quality of their work. They will not leave until the job is done to your specifications and you are completely satisfied with their work. As a company we have invested in the most powerful equipment and effective cleaning, sanitizing and deodorizing products available on the market. Our Dixie Canyon Carpet Cleaning technicians will advise you or the best cleaning protocols to restore your carpets to their original condition. 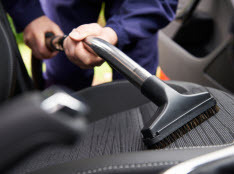 Our comprehensive carpet and upholstery cleaning methods are designed to remove harmful bacteria, mold, pet dander, dust mites and other pollutants that can be have adverse effects on your health. In addition we can remove odors and stains to bring back the visual appearance and beauty of your carpets, rugs and upholstery. In addition to regular vacuuming, your carpets should be professionally cleaned by our qualified carpet cleaning technicians every 6-12 months. Proper maintenance of your carpets and rugs will increase the life of you carpets saving you the cost of premature replacement. Are you tired of your upholstery looking drab and uninviting? The professional upholstery cleaning technicians at Dixie Canyon Carpet Cleaning can restore the beauty and extend the life of your sofas, chairs, sectionals, loveseats and ottomans by providing a deep clean that will bring back the vibrant color, feel and beauty of your upholstered furnishings. Our technicians receive extensive training in the art of cleaning your upholstery and special considerations including fabric composition, color fastness and fabric stability are taken into account before commencing our upholstery cleaning service. At Dixie Canyon Carpet Cleaning, our technicians will customize a cleaning program that is designed for your unique upholstered furnishings. We not only keep your upholstery clean, we keep it fresh and smelling great too! Contact us today and speak with a customer service professional about your carpet, rug, upholstery, tile & grout, mattress, air duct, wood floor refinishing, and water damage restoration needs in Greater Sherman Oaks, CA and the surrounding areas.